The deck page on Slides is great when sharing your work online since it includes metadata like your name and the deck title. It also offers ways for your audience to engage with the content through social networks and commenting. To share a deck with someone all you need to do is send them a link which is in the format slides.com/<username>/<deckname>. This link can be found in the Share popup which is opened by pressing the Share symbol in the editor, on any deck page or on your profile page. 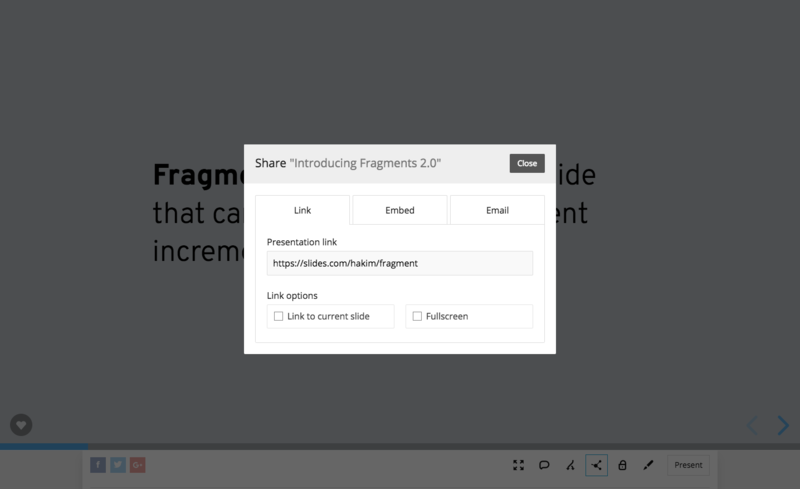 The Share popup also includes options for embedding or emailing a deck to someone. When you generate a share link you can turn on the Fullscreen option if you want to link people to the fullscreen presentation view. 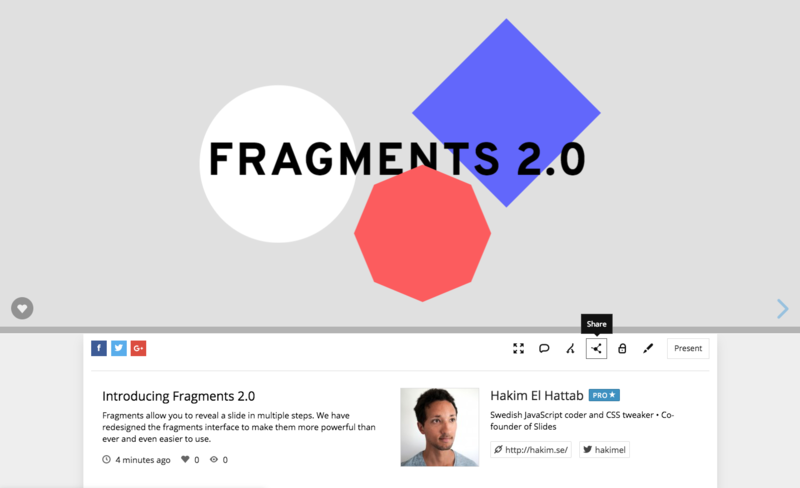 The fullscreen view is similar to the standard presentation page except it doesn't include any of the metadata, social sharing options or commenting. If you want to share a direct link to a specific slide start by navigating to the slide you want to share. Then open the Share popup and turn on the "Link to current slide" option at the bottom. Learn how to embed decks on other pages.